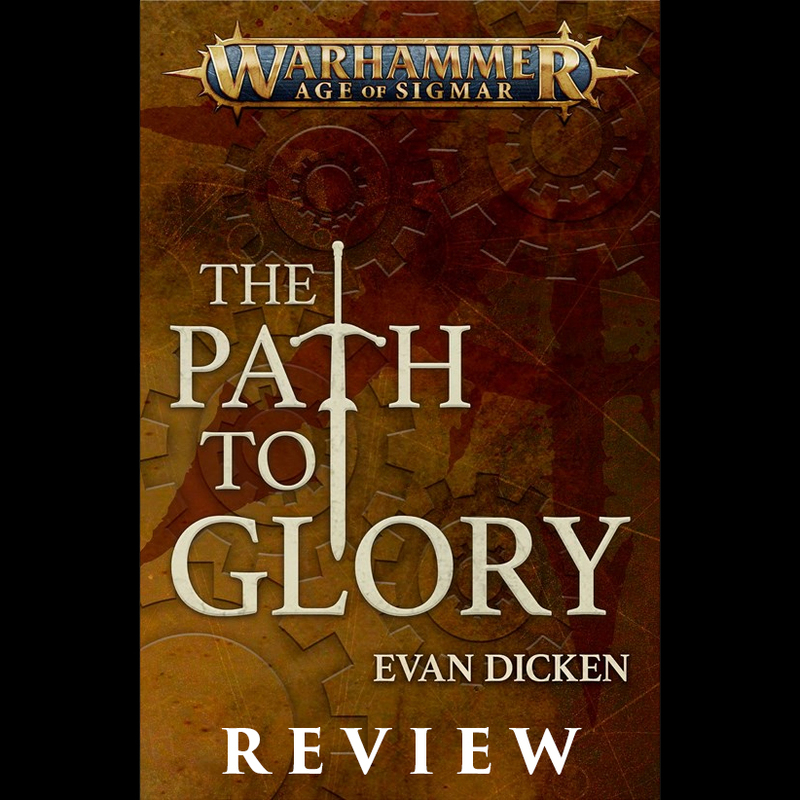 Black Library released a surprise eshort the other day for AoS by new author Evan Dicken. Set during the dawn of the Age of Chaos, we get to see the final moments of the legendary Lantic Empire of Chamon and the twisting paths some may inadvertently follow towards the damnation of the dark gods. First thing first, this is quite a bit longer than the typical eshort from Black Library. It feels almost more like a novella, though I'm unsure if it's actually that length or not. Either way, you're definitely getting your money's worth since it's still the same cost as all of the other short stories. The story opens during the fall of the Lantic Empire in Chamon. So far in AoS all we had heard was how the Lantic Empire used to be powerful and sprawling, but now was nothing more than empty ruins after the Age of Chaos. Here we get to see a bit of how it was near the end of its prime. The forces of Chaos have already been ravaging it, despoiling many of its cities. Now one of their last major cities and home to the Gilded Order of mages is under attack, so the remaining legions of the Empire head out to cut the head from snake that is the Chaos horde. We meet up with Sulla, a commander in the army, as she directs the battle around her against the Chaos forces. In the distance their Empress charges into battle to challenge the Chaos warlord to single combat, but she is no match for the champion of the dark gods. With their Empress dead the Lantic forces begin to crumble and it is up to Sulla to try and rally them and seek safety within the city. The Lantic army has some classical Freeguild stuff in it, like a steam tank, but at the same time the description of their armor and weapons definitely makes them feel unique, which is greatly appreciated. Back at the city of Uliashtai, the mages of the Gilded Order stand ready to bolster the magical defenses against a splinter of the horde led by a sorcerer of Tzeentch. The magic is all about the sacred geometries and really draws upon the metallic nature of Chamon. They're no match for Chaos though, and only one of their number, Kaslon, escapes behind the walls of the city, which will hold out awhile longer. Meanwhile, within the locked and barricaded palace at the heart of the city, the last surviving noble, Livius, an adolescent, awakes from a plague fueled stupor to find all the rest of the household dead. Without giving too much away, Sulla, Kaslon, and Livius join together and must quickly think of a way to escape the city with as many of its inhabitants as possible before the Chaos horde reaches them. It's hard to review a shorter story like this, since I don't want to go into too much detail and give it all away. I really enjoyed it though. The action never lets up once everything is set in motion and I constantly wanted to keep reading to find out what happened next. Instead of being divided up into chapters, the story is divided into chunks each centering on one of the three main characters. Sulla, Kaslon, and Livius all felt like real people with believable motivations. Sulla is filled with rage at the perceived betrayal by Sigmar since he left them to fend for themselves and their own continued defeat at the hands of Chaos. Kaslon, to me, seems scared and in his fear turns to any source of knowledge and power to prevail; crossing whatever lines he needs to for the greater good. Livius is merely a scared child. The product of abusive parents, he suddenly finds himself thrust into a position of leadership and power solely by being the last remaining person of noble birth. Evan does a great job at making you care for all three of them and also making you understand the choices they make, even as you slowly start to realize what the outcome must be. The Lantic Empire itself is also very characterful. What could have been a simple copy past of stuff we have already seen in AoS instead has a unique twist on everything. Like I said previously, the mages rely on Sacred Geometries, while their cities have clockwork streets that constantly change and move to disrupt the invaders. The Gilded Steamgird is a massive wall which ringed the empire, think the Great Wall of China, and already lays in wreckage at this point. Even the deserts they fight in are deserts of rust. It's the perfect blend of high fantasy that makes a story uniquely fit for AoS. The ending ties it all up nicely, while also twisting a knife in your heart. There's a nice twist on the big bad too. Tyler: Path to Glory is your first Age of Sigmar/Warhammer story for Black Library, can you tell us a bit about how that came about? Evan: Honestly, it was a wonderful surprise. I’ve been publishing stories as a hobby for close to a decade, but I never thought for a moment I could write for The Black Library--so when their submissions editor, Charlotte Llewellyn-Wells, contacted me, I initially thought it was a scam (if a very specifically targeted one). After I’d overcome my initial stammering, sweaty-palmed excitement, I set to researching Age of Sigmar and came up with a few short story pitches. “Path to Glory” was one of those. My partner and I recently had a child (now closing in on two years of age), so I basically missed the transition from the Old World to AoS. Fortunately, researching for the short story provided an amazing opportunity to dive back into the lore and fiction. Tyler: The Lantic Empire is a part of the AoS mythos that has been mentioned in passing multiple times, but never really explored. Why did you pick that for your story, and what did you use as inspiration for their culture and ethos? Evan: One of the things I love about AoS is the sheer breadth of its lore. The Battletomes are full of amazing ideas basically begging to be fleshed out. I kept running across references to the Lantic Empire, and it seemed like the perfect place to start. Also, because the baby I never really got the chance to say goodbye to the Old World, so I jumped at the chance to tell about the fall of an ancient, storied Empire. Everyone at Black Library was so wonderful and encouraging through the whole process. They did an amazing job of letting me run with the premise while simultaneously keeping me from going off the rails. With regards to the Lantic culture, I tried to take a little bit from different places. In a past life I was a history teacher, so there are shades of Imperial Rome and the Qin Dynasty, with more than a little Persian influence thrown in. Their ethos was mainly an outgrowth of the narrative and characters, I needed something martial, something proud, something that would’ve flourished under a warrior god like Sigmar, but that would quickly become stifling as the Empire crumbled. 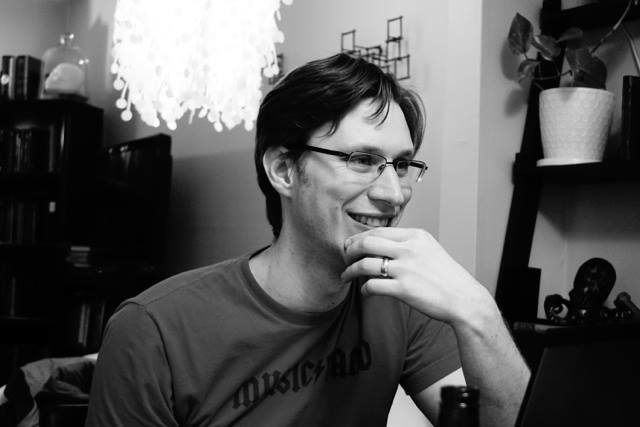 Tyler: The fact that AoS starts at the dawn of the Age of Sigmar, a time period that is predated by thousands of years of history in the Age of Myth and Age of Chaos, provides a unique opportunity to explore settings, cultures, and races that may not even exist anymore in the current timeline and have no analog in the game and models. Path to Glory takes place near the start of the Age of Chaos, giving you more freedom to write the story you want without having to conform to existing storylines too much. Is this something you would like to explore more, or would you rather write something in the currently unfolding storyline, such as with Malign Portents? Evan: To be completely truthful, I can’t crack a Battletome without finding things I would love to write about. I feel like I do my best work when there are clear goals and loose guidelines. In “Path to Glory” I knew I wanted to write about people faced with terrible choices, slowly succumbing to the lure of Chaos, but beyond that everything was nebulous. I must also confess to having bothered the Black Library folks with pages of questions - some of which I’m sure were ridiculous. Tyler: Do you currently play/collect AoS or 40k? Evan: Alas, I do not. I still buy models, but parenthood has left little time for painting and playing. Also, my son has a habit of putting everything in his mouth--so I’ve packed all my armies away until he can be trusted not to commit suicide by hormagaunt. Still, I look forward to the day when I can buy some new primer and paint pots, break out the boxes and boxes of figures in my basement, and start painting with my son. Back in the day, I collected High Elves, Empire, Eldar, Space Orks, and Tyranids, and played everything from Bloodbowl, to GorkaMorka, to Necromunda. As the constraints on my time grew, I gravitated from the tabletop battle games to RPG’s, running games of Warhammer Fantasy Roleplay, Inquisitor, and Rogue Trader for my home group. I’ve always enjoyed the darkly-textured Warhammer fluff, and still regularly read the various setting and rulebooks just for fun. Speaking of which, I’m excited as heck for both the Age of Sigmar RPG and Cubicle 7’s reboot of the 2nd Edition WFRP rules. Tyler: Path to Glory was a really good read and a fantastic debut story by you. Can we expect more from you in the future, perhaps even a full length novel? Evan: Firstly, thank you so much. I’ve been delighted (and quite humbled) by the Warhammer community’s reaction to my story. Honestly, it’s been a surreal experience. Having been a fan for so long I still can’t quite believe The Black Library has actually published some of my work. If all goes well, you’ll certainly be seeing more from me. Although I can’t get into specifics, I’m currently working on a standalone novella for AoS to be released some time later this year. I’ve got my fingers crossed for more writing in the future, but for now I’m taking it one project at a time. Evan: If you’d come to me last year and said: “Hey, Evan, by this time in 2018 you’ll be writing for the Black Library,” I would’ve laughed in your face. Warhammer has been such a huge part of my life, it’s a real honor to have the chance to be even a small part of it. Also, if you’ve got some cool ideas for 40K or AoS fiction rattling around in your head, NOW IS THE TIME! With Black Library open for submissions, you owe it to yourself to work up a pitch. At the very least, you’ll have a great scenario for a tabletop battle or RPG session. Thanks again to Evan for taking the time to answer those questions, and seriously, go pick this story up. You won't be disappointed. You can follow Evan on his website here.